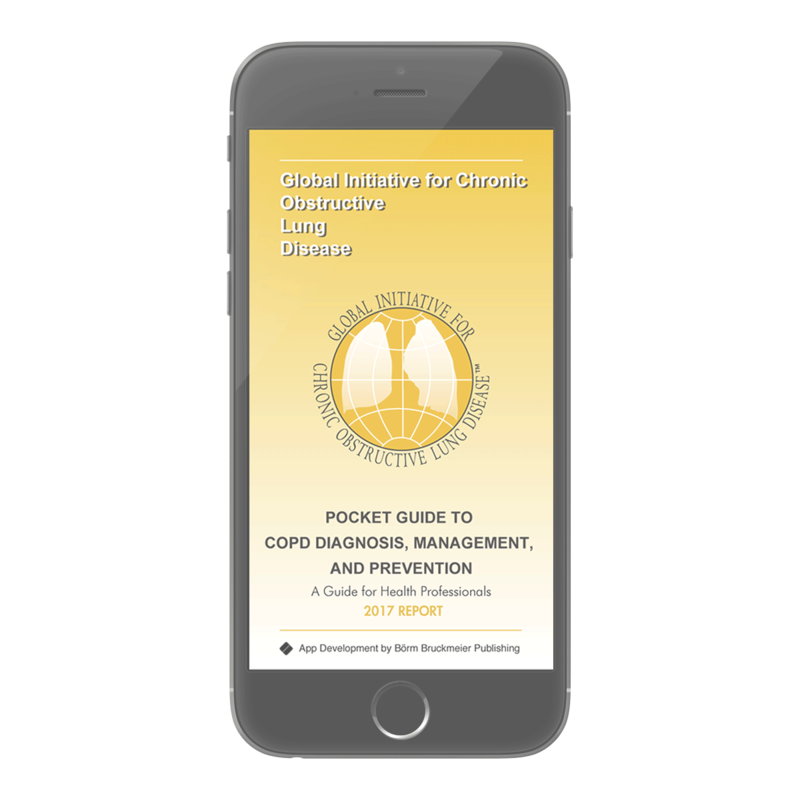 Access the Global Initiative for Chronic Obstructive Lung Disease (GOLD) 2017 Reports at the point of care and use interactive tools such as ABCD assessment tool, mMRC Dyspnea Scale, CAT assessment, treatment algorithm and many more. 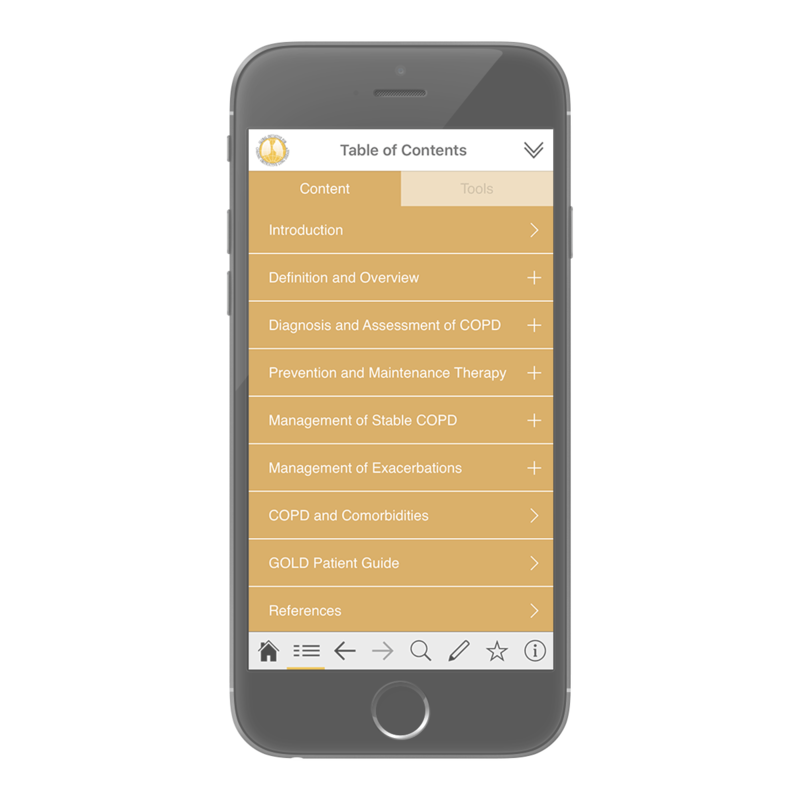 The app allows users to bookmark important pages and takes notes on key information. GOLD continuously develops and updates reports. 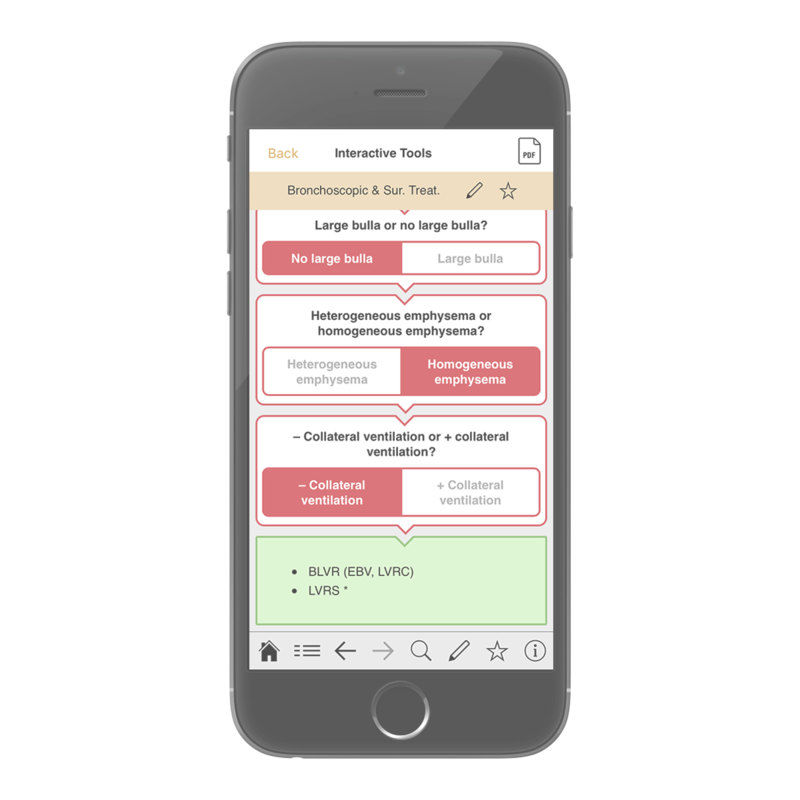 More updates will be added to the app successively. 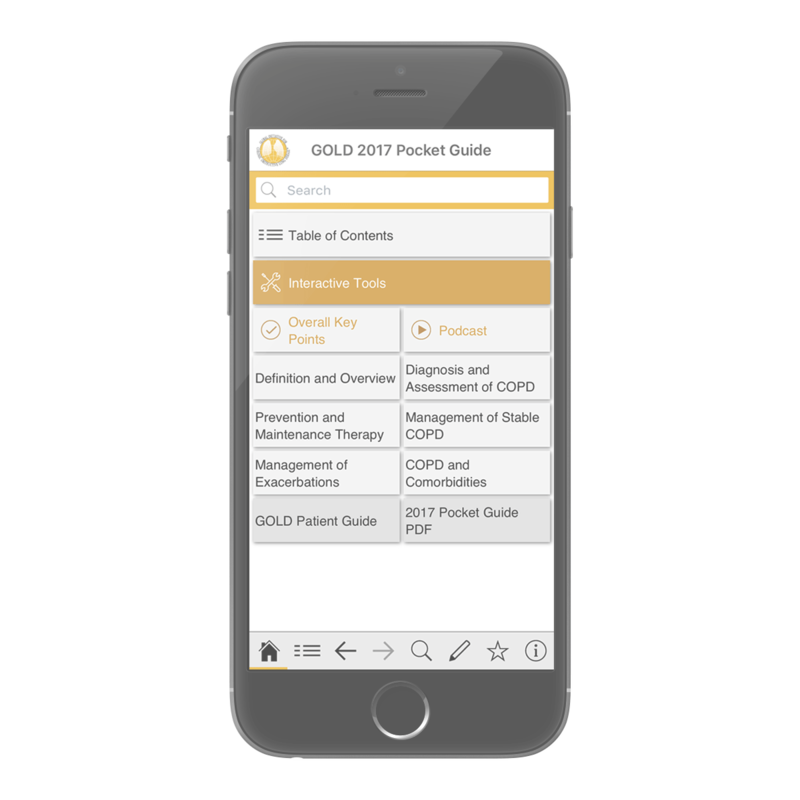 GOLD Reports help you practice evidence-based medicine.